Last night I had the privilege of speaking at the May meeting of the McDowell County Historical Society in Marion, North Carolina. It was my first opportunity to talk about my vintage postcard book, The Blue Ridge Mountains of North Carolina to a county historical society. The audience seemed very interested in my presentation, asked great questions, and their comments added much to the presentation. 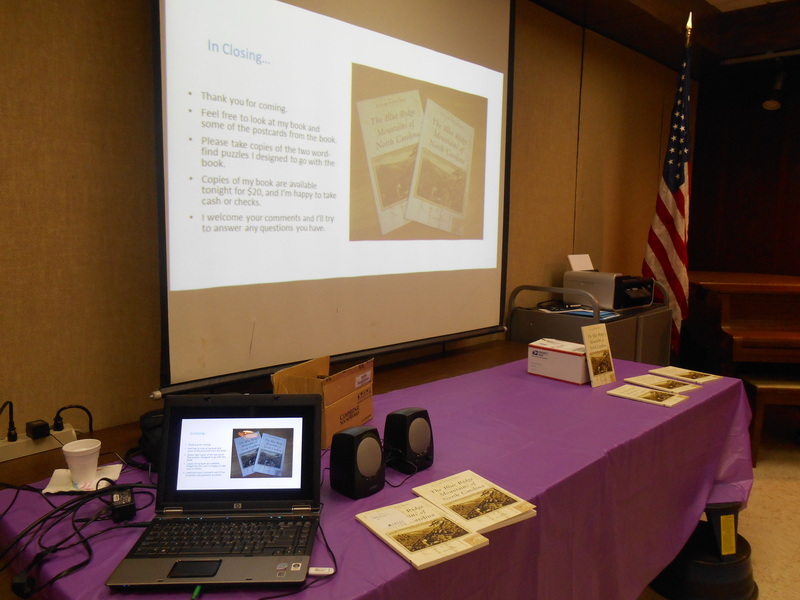 After the program, I invited everyone to look at my book and enjoy some of the actual postcards from the book. 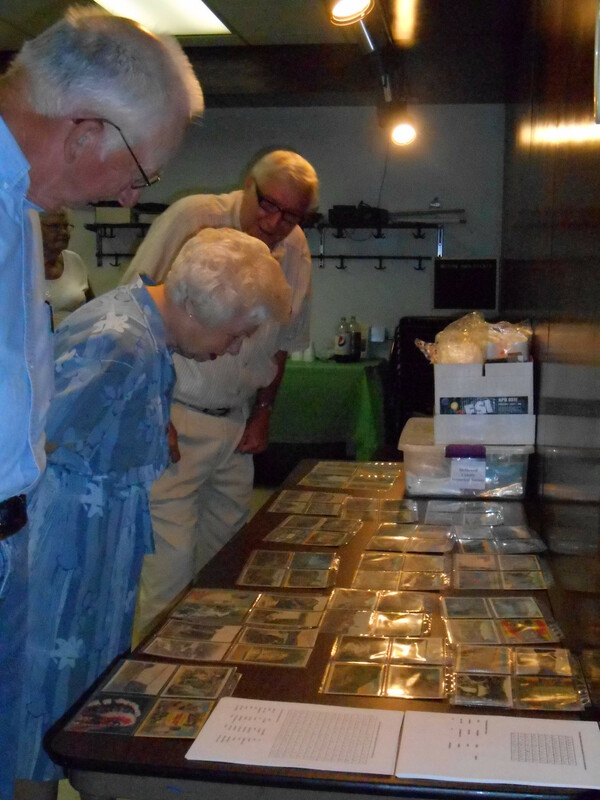 Several people in attendance were postcard collectors. I enjoyed “comparing notes” with them. The Mayor of Marion, Steve Little, was there. He brought some of his postcards to show me. He had many that I had not seen before, so I enjoyed looking at his cards. Last week I created my first PowerPoint presentation and used it for the first time last night. I think it was an improvement over my earlier programs. I took a free class about PowerPoint at the Harrisburg Branch of the Cabarrus County Public Library. With what I learned in that class of just an hour or so, I was able to put together a 40-minute program for last night. I don’t have any more speaking engagements scheduled. I will continue to contact public libraries and civic organizations to get some programs on my calendar for late summer and next fall.